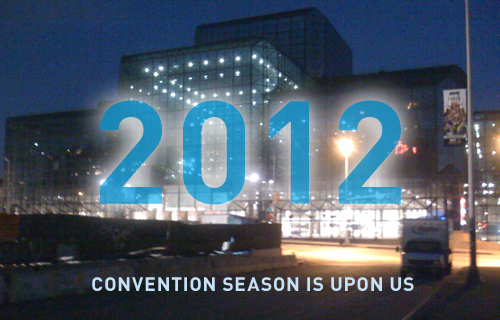 2012: the Convention Season is upon us | Innovation, Inspiration... Atlas Unleashed! So it’s that time again… convention season is upon us. I’ve found myself trying to schedule shows and dates while juggling family holidays and special birthdays. Yes, it’s true… I officially turn old this year (joining my Olde Friends Network of over 50 on Facebook did it for me). That, coupled with some new opportunities, has left me scrambling for time and constantly doing catch up. What I know for sure is that Atlas Unleashed will be at several shows in 2012. We’ll be at Bronx Heroes Con, I-CON Science Fiction, MoCCA-Fest, and probably a Connecticut convention or two (I’m told the hurricane immune, ComiCONN is quite the event!). In the past 4 months, we’ve been developing new issues of Schizophrenia, The Adversary, and a few surprises. The Adversary #3 features a rather unruly coven of witches who, by their quasi-familiarity, present an even greater menace. Trust us, familiarity breeds complacency, and these witches live up to their name! Schizophrenia will feature the first chapter of a science-fiction thriller, AntArticA. We have high hopes for this series, and it’s a great high-concept, Earth-bound, sci-fi novella penned by our man Marzan, and lavishly illustrated by James Emmett. On the work bench are some non-print projects, too. One of them is by our new creative associate, writer/actor Greg Casimir. Greg is a new addition who comes to us from common friends, and, quite frankly, has impressed the frack out of us. He’s a double threat due to his natural understanding of the spoken word and his ability to follow through on stated goals. Greg first helped us out at NYCC 2011, and since then has huddled with a young director to create vehicles which feature him in starring roles. The first of these short films is being shot as we speak, based on a science fiction story that Greg wrote called, “Human”. You’ll be hearing quite a bit about Greg in the future, and look for more info here on AtlasUnleashed.com and on our new YouTube channel. Beyond that, Greg will be present at several shows in attendance with AtlasUnleashed. How will you know it’s Greg? Look for the All-American leading man at our booth or table and you’ll know it’s him. Or, as I said to him when we met, “You must be the strong guy with extreme intelligence.” That’s Greg! So if it’s creator-owned, exhilarating, and not your grand-daddy’s yellowed comics… it’s Atlas Unleashed! Look for us by our name, OK?